Refer Goqii App and Get Bag and Helth Band Many More..
2- Open app and Skip Introduction Part and Then Enter your Mobile Number. 3- Verify your mobile number with OTP and Move to Next Step. 5- Submit My Refer code and you will get 500 GOQii Cash in your Wallet. 6-Now Select any of your three choices and continue to add your name, email and Birth Date and Continue to Dashboard. 7- After Completing all the Steps you will get total 1000 GOQii Cash in your Wallet. 8-Now Move to Dashboard of the App and Click on FREE Goodies Option. 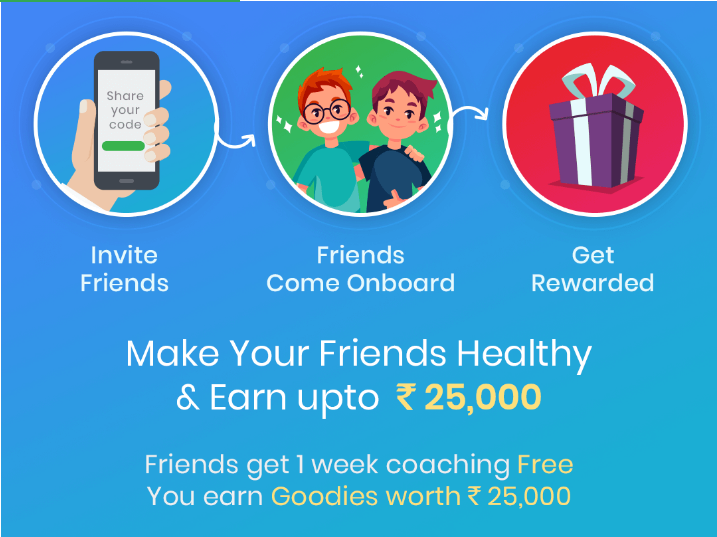 9-Share your Refer Code with your Friends and when they will join using your refer code both of you will get 1 month Free Coaching of GOQii. 10-On Referring your 1st Friend you will get a Goodie worth Rs.500 for Free. 1- First of all Go to Dashboard and Click on FREE GOODIES Option. 2- Go to REDEEM tab and Click on Claim Button. 3- Enter Delivery Address and Pay Rs.50 Delivery Charges with any mode of payment. 4- You will get your order confirmed and you will get the Mail. This offer is only available to indian users and having indian residential address. GOQii cash and its benefits are only available in Indian Users. Only for new Users on GOQii is applicable. Suspicious Transactions / activities will be disqualified. 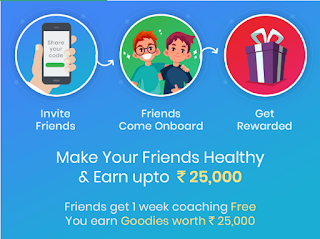 To redeem more then Rs.2000 Goodies you must have to buy GOQii Subscription.